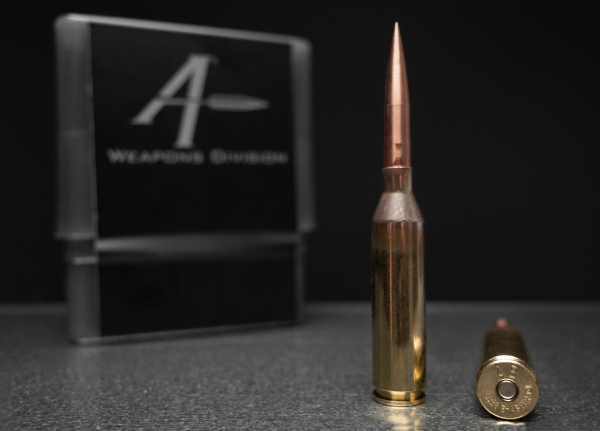 Cedar Springs, MI – New for 2019, Applied Ballistics Weapons Division (ABWD) is proud to announce the release of the new EnABELR (Engineered by Applied Ballistics for Extreme Long Range) cartridge. The EnABELR is a medium capacity, magazine feedable cartridge available in both .375 and .338 caliber. The .375 caliber version of the EnABELR has been selected for Phase 2 of the Extreme Sniper Strike Operations (ESSO) program, a government funded project to develop a high performance, extreme long-range sniper weapon system [link to original ESSO PR]. Beginning in Mid February 2019, Applied Ballistics Weapons Division is offering all components required to mainstream the EnABELR cartridges including: chamber reamers, Peterson Cartridge Company made brass, ABWD made reloading die sets, and complete tactical and competition rifle systems chambered in both .338 and .375 versions of the EnABELR cartridge.